Don’t Destroy Your Green Message With a Chevy Ad! What the f…? This is the third time I see an ad for the new 2009 Silverado Chevy Truck. Not in a car magazine. Not in People magazine. Not on TV. No, I saw it in three very respected green sites, out of all places. This brings up an issue that’s faced by green bloggers all the time. If you are going to take advertising, how can you make sure that the ads do not go counter to your message? 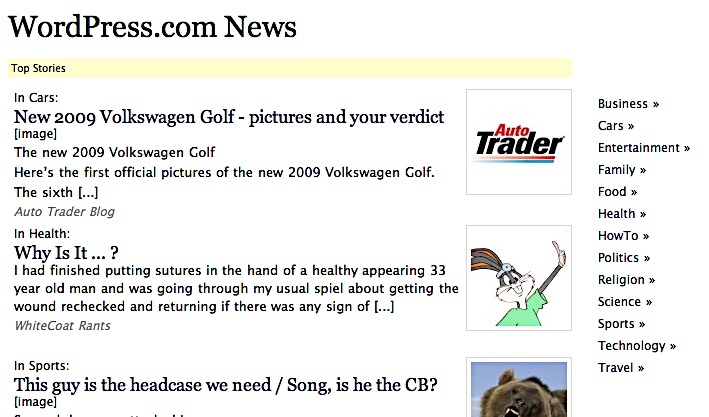 Green certified ad networks are still few and far between, and sometimes have requirements, like Natural Path Media, that preclude the smaller blogs. Of course, there is always the option of handling one’s own ads. But, who has that kind of time? The following is a reprint from comment I left on Huffington Post this morning, in response to their call out to bloggers for some input on future of their Green section. By the way, thanks Nadine, and Ian at NRDC blog for your kind comments about La Marguerite blog. First, is blogging as a vehicle for the building of a vibrant community of passionate people. This has been the most rewarding part of my involvement with La Marguerite blog. In order for it to work, your team needs to play the role of moderators, responding to, and connecting all the folks that honor you with their visit. Most of the major green blogs follow the old model of blogging as just writing, and interact very little with their readers. Second, is blogging as a channel for problem solving and activism. Sooner or later, just talking about things cease to be sufficient. One natural progression is for clusters of people to want to take it further, and start implementing solutions discussed in the blog. This is happening on my blog, where several groups of readers have spun off into offline discussions, leading to several green initiatives. What I would like to suggest, is that you incorporate a more formal structure for such initiatives. Technorati, Will You Help Me Find Other Green Blogs? Last week, The Huffington Post took the bold step of adding HuffoPost Green, a new section, entirely devoted to ‘Green‘, to its site. Kudos to Arianna, for granting further legitimacy to the green movement. 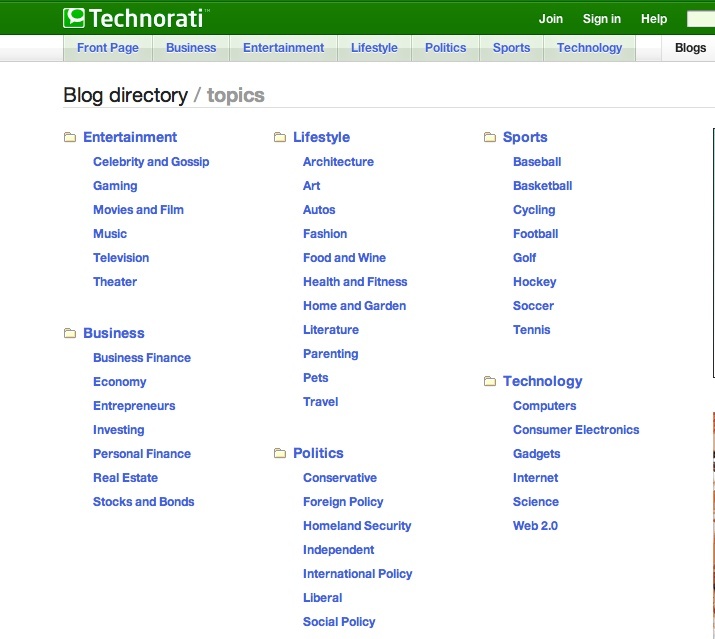 Along the same line, I just sent a request to Technorati, asking them to please add a ‘Green‘ topic to their Blog Directory. I don’t know about you, fellow green bloggers, but having such a Green Blogs category sure would make it easier to connect with each other. It would also improve our chances of being found by the crowds. I will keep you posted on Technorati’s response. While I was at it, I also checked Google Blog Search. There, no real categories to help find one’s way. Since they are in Beta, maybe something for them to consider? I also sent them a request. We will see if they respond.